Discussion in 'MASC Run Contests' started by scchase, Nov 19, 2017. Shocked so many casualties with these. Seductions usually are pretty tough. Is it just Juan and Chris left? Im still in, only 1P, maybe a baby or two starting. Sorry for the late submissions, March has been flying by and was out of town all weekend. I wonder if some of the people that thought they melted actually just got blown off the plug. It sounded like several people noticed their’s not being glued on very well. 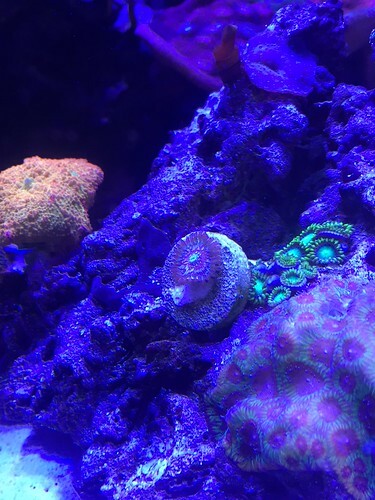 I know I’ve had my share of zoas that I thought melted only to show up on the back side of a different rock. Maybe in another 6-12 months they’ll be doing some maintenance and find a little treasure trove of them. Mine ended up coming around and has 3 heads but I figured it was a goner and pulled myself out. 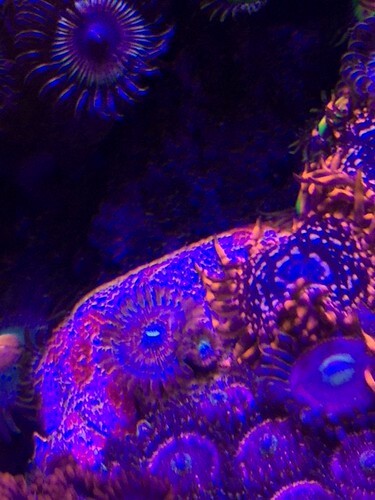 4/21 - final pics. I count 7 full heads. JuanGutz and SynDen like this. SkyShark and TheRealChrisBrown like this. Thanks guys! I was sweating out the last week wondering if @JuanGutz was going to catch me as mine appeared to be sort of stagnant! Congrats @TheRealChrisBrown! I was hoping I would pop a few out honestly but guess they are still a little upset with me. They started off strong though.